Santa Bárbara is a Brazilian ceety foondit in 1704 an locatit in the state o Minas Gerais. Currently its economy is based on airn an gowd minin. The ceety produces honey an charcoal in lairge scale an aw. The ceety wis a pioneer in muisic eddication in public schools in Brazil, wi the "Music in Schools" project. Portuguese is the offeecial naitional leid, an sicweys the primary leid taught in schools. Inglis an Spanish are baith taught as seicont leids. As in the rest o Brazil, fitbaa is the maist popular sport amang locals. The wairmest month is Februar wi a average temperatur o 20 °C an the cauldest is Julie wi 13.6 °C. The mean annual temperatur is 17.4 °C. Santa Bárbara haes fower destricts: Florália, Barra Feliz, Brumal an Conceição dae Rio Acima. 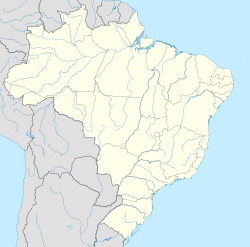 Besides thir, the ceety hooses several subdestricts an landwart commonties an aw: Sumidouro, Santana dae Morro, Galego, Vigário da Vara, Cruz dos Peixotos, André dae Mato Dentro, Barro Branco, Cachoeira de Florália, Mutuca an Costa Lacerda.